So if you’re a human, chances are you’ve heard of Leonardo DiCaprio: big-time actor, huge environmentalist, and every ’90’s girl’s dream man. 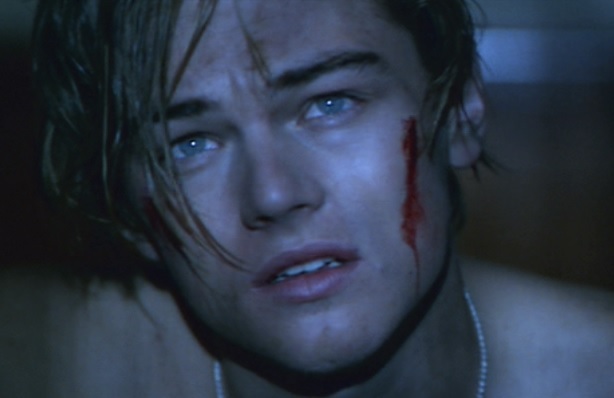 And if you were a preteen/teenager at any point in the ’90s, you might’ve had it so bad that Leo ruined romance for you forever. So in celebration of me having ridiculously high romance standards because of Leo, here are his worst (OK let’s be real, best) offenders – perfect to kick off this Oscars weekend while we all cross our fingers that the king of our world finally takes home that deserved statue. And again, but this time with more hair flip. And that other toast, to parties or whatever. Basically anytime he raised a glass, even if he was totally about to go to jail. When he graced us all with the shirtless scene. This adorable wave that made us drool even though he basically did nothing except prove he had working fingers. The time he gave the, “I like what I see very much” face and we didn’t even feel disrespected. Anytime he did something broody with hair in his face, like this semi-slow-mo walk. When he gave us all our summer-night makeout goals. When all he had to do was let the wind do the talking. That one time he danced like our least favorite uncle but somehow we only felt slight secondhand embarrassment. Every time the camera was on him, basically, even when he didn’t know it. When he played the worst villain ever but we forgot for a split second when he was first introduced because of this shot that almost made us feel welcomed. The night he cheered on his dad Christopher Walken for giving a moving speech about two mice in a bucket of cream. That day he made us all realize we should buy nice sheets and keep them clean 24/7, just in case someone falls deeply in love with us at a moment’s notice. When he reminded us we can all dance just fine when we don’t care how we look, because either we’re in love, really drunk, or both. When he let us all live, and assured us he’d be in our little tween hearts forever. The moment we fell in love at first sight right along with him. When he let us know what a great partner he’d make. And then backed it up by assuring us he values the same things. And of course, anytime we saw his beautiful lifelong relationship with his BFF Kate Winslet. Complete with the most perfect air kisses known to man. SWOON.